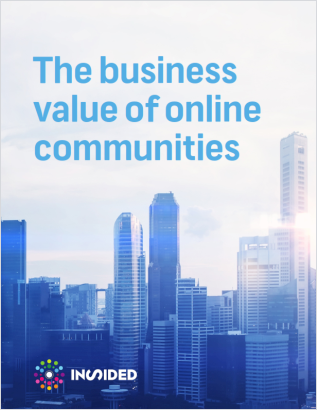 Read our free ebook to learn about the value that communities can bring to your business. Communities enhance both marketing and support - driving engagement, increasing loyalty, and giving customers faster time to case resolution. The results speak for themselves. One brand boosted its NPS scores by 18 points after implementing a customer community. Another saves $4 million annually by making a community its No. 1 support channel. Why communities add value across the customer lifecycle. How the per-user value of a community increases with time. What it takes to activate a new community and make it successful.